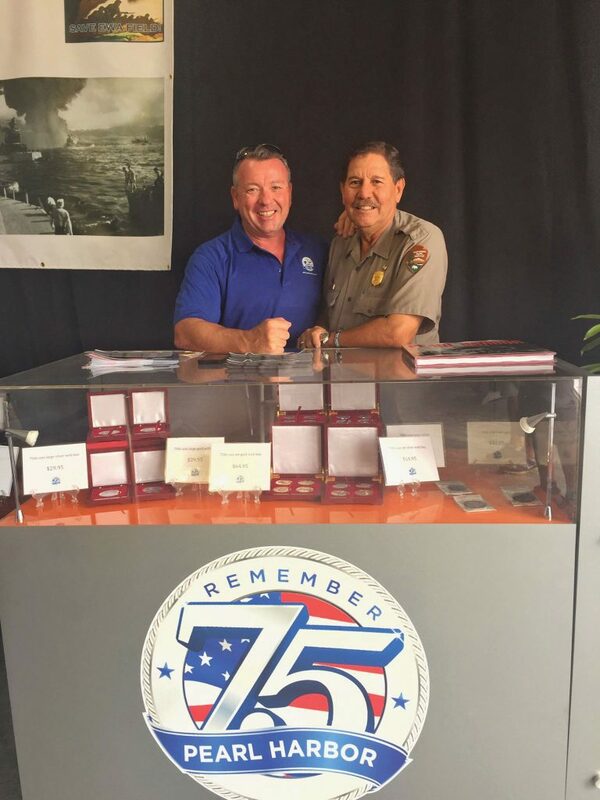 This past July, members of the 75th Commemoration Committee, myself included, attended EAA AirVenture Oshkosh to share why the 75th Commemoration is a national event of remembrance. The support and interest was overwhelming. Daniel Martinez (right) of the National Park Service accompanied us and delivered no less that 30 presentations on the attack. 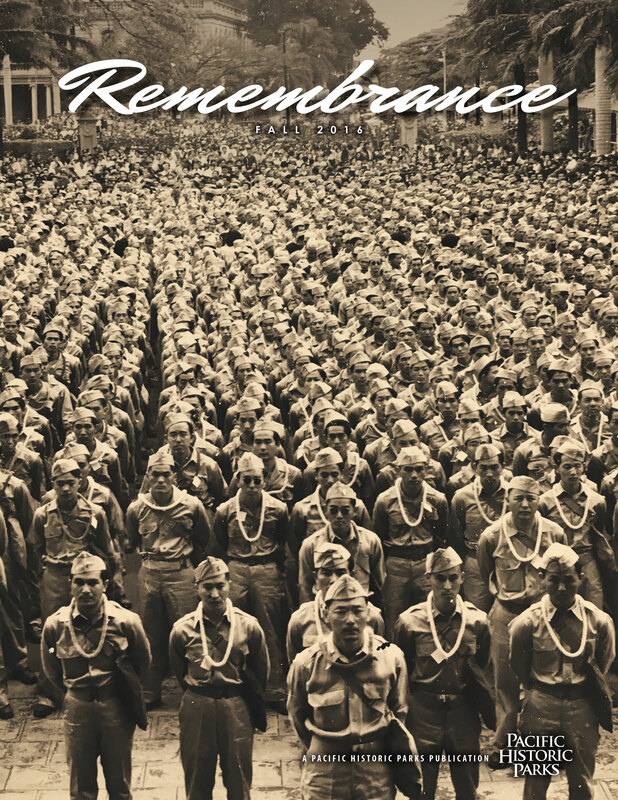 This fall issue of Remembrance conveys a very special message to our members and community as we ramp up to the 75th anniversary of the attack on Pearl Harbor this coming Dec. 7th. You see, it was not just an attack on Pearl Harbor … the human story goes beyond the brave men in uniform that day at the Naval Base, Hickam Field, Ewa Field, Kaneohe NAS and Ford Island. There is also an Oahu story that includes American citizens of Japanese ancestry who suffered untold hardship and would end up in a war fought on two fronts. Many of the stories in this issue focus on Americans of Japanese ancestry (AJA), sharing the Hawaii stories of men, women and children who were affected by the attack on Oahu. In this issue, read about Walter T. Oka, who at age 13 witnessed the attack from his home in Aiea, and Kisa Hatate, a single mother of three young children who lost her life from the friendly fire destruction at King and McCully streets. The late Sen. Daniel Inouye, who later was awarded the Medal of Honor, was working as a young Red Cross volunteer that day in McCully and wrote about what he saw in his memoir, Journey to Washington. “We had all been attacked, and the dead on December 7 were not only the brave soldiers and sailors at Pearl Harbor and Hickam Field, but unarmed civilians in McCully, too … There were always those to whom the only good Jap was a dead Jap, and never mind whether he happened to be an American citizen.” A very poignant statement of the mindset of a Japanese American who thought it his duty to serve … and would be among the bravest who did. In spite of the distrust and suspicion leveled against Japanese Americans after the attack, nearly 10,000 AJA men in Hawaii volunteered to serve in the U.S. Army when given the chance. This is powerfully conveyed by our cover photo, which shows AJA volunteers for the 442nd gathered outside Iolani Palace in 1943. Their story of service can be found here. It is our sincere hope that you enjoy this issue, and take from it some of the sometimes untold stories of that event … and that time.